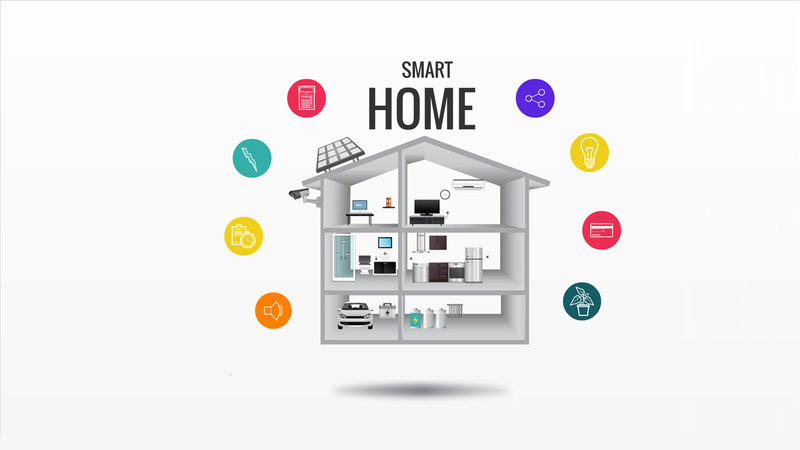 Prezi Presentation Template Smart home is designed for home security, home automation system. Template has a 3D designed home floating on air. Colorful circles around the house are designed for content – texts, images, symbols, titles. Zoom from one objects to another. A house is a vector image, so you can zoom in infinitely and the image does not get blurry. There are multiple rooms – bedroom, bathroom, kitchen, workroom, living room, garage, roof. Inside rooms are objects, where you can place a text while zooming in or out – security camera, freezer, air conditioner, modern flat TV, car battery, computer screen, dishwasher, radiator, office desk. Watching this presentation, ideas starting to grow in your head. This entry was posted in Best Prezi presentation templates and tagged 3-d, 3d, 3d home, 3d house, air, air conditioner, bathroom, bedroom, camera, computer, effective, electric, garage, home, home automation, kitchen, LED, living room, panel, pc, power, section, smart, smart home, solar, surveillance, sustainable, Television, tv, workroom.